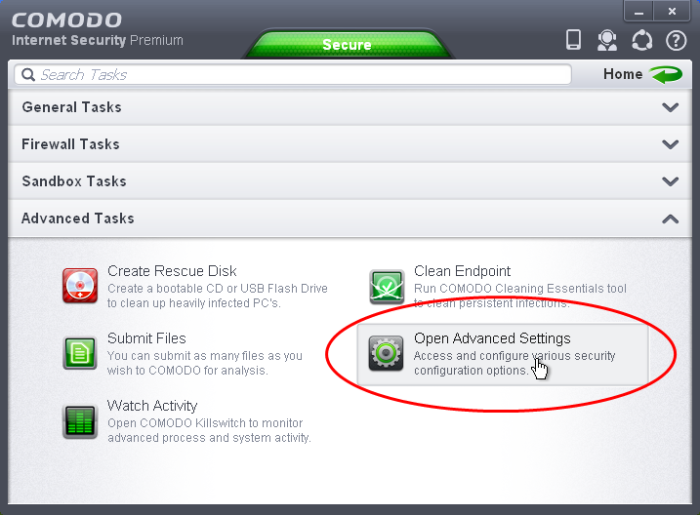 The 'Advanced Settings' area allows you to configure every aspect of the operation, behavior and appearance of Comodo Internet Security. The 'General Settings' section lets you specify top-level preferences regarding the interface, updates and event logging. The 'Security Settings' section lets advanced users delve into granular configuration of the Antivirus, Firewall, Defense+ and File Ratings modules. For example, the 'Security Settings' area allows you to create custom virus scan schedules, create virus exclusions, create Firewall and HIPS rules, modify sandbox behavior, define network zones and specify how the file rating system deals with trusted and untrusted files. 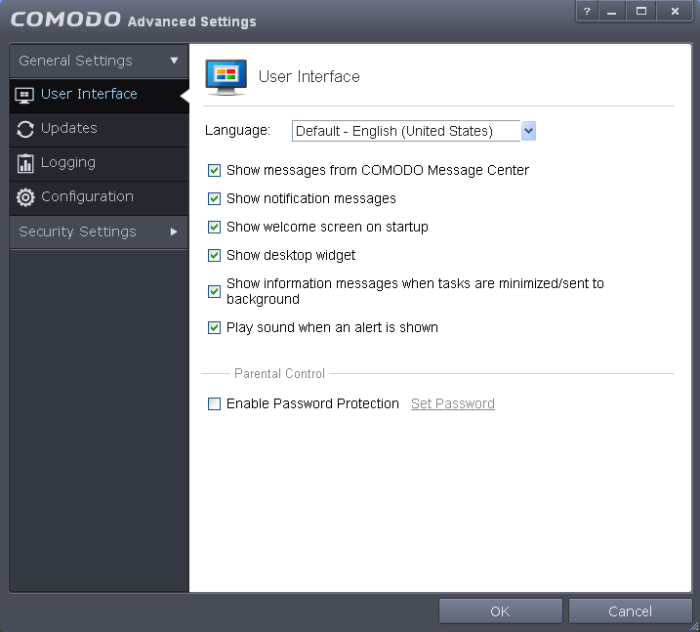 The 'Advanced Settings' panel will open.